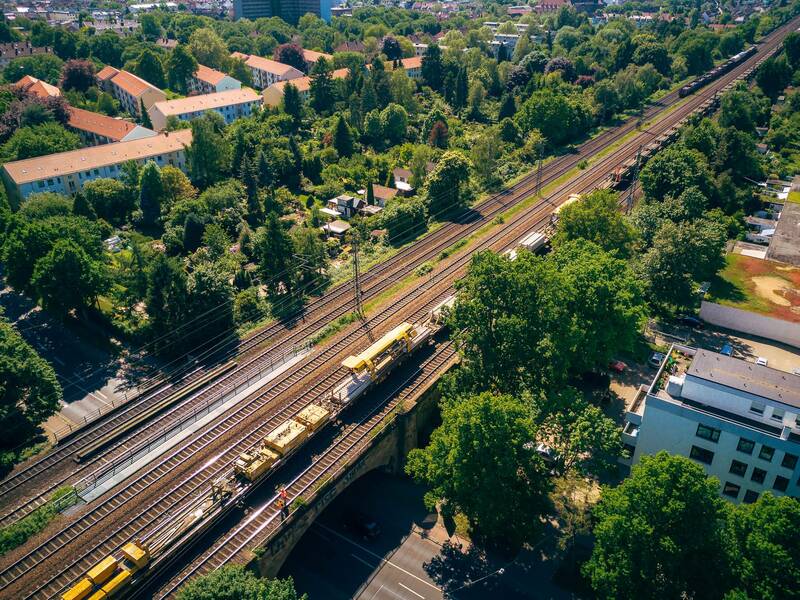 Work was carried out at three construction sites on four days close to the Bremen district; this also includes various construction work on switches. 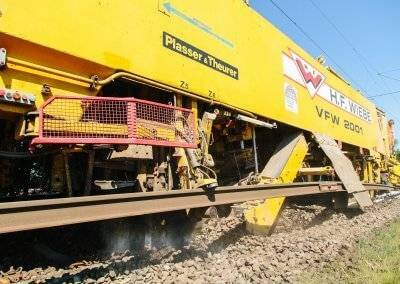 The main machine used for the work was the VFW 2001. 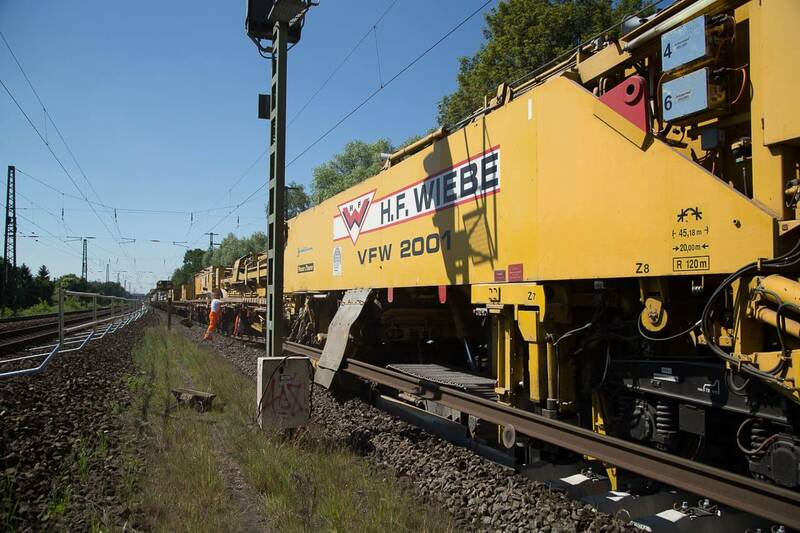 The construction train also replaced the sleepers on more than four kilometres. 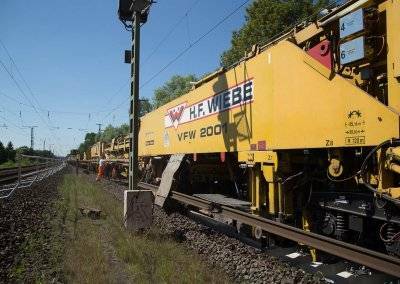 Work was carried out at three construction sites on four days close to the Bremen district for the Deutsche Bahn AG. 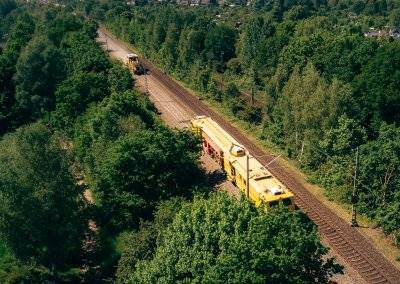 In addition to the modernisation of the track and replacement of the sleepers along a section of 4,200 metres, work was carried out on switches at two sites – and all this in a non-stop process that was completed within just four days. 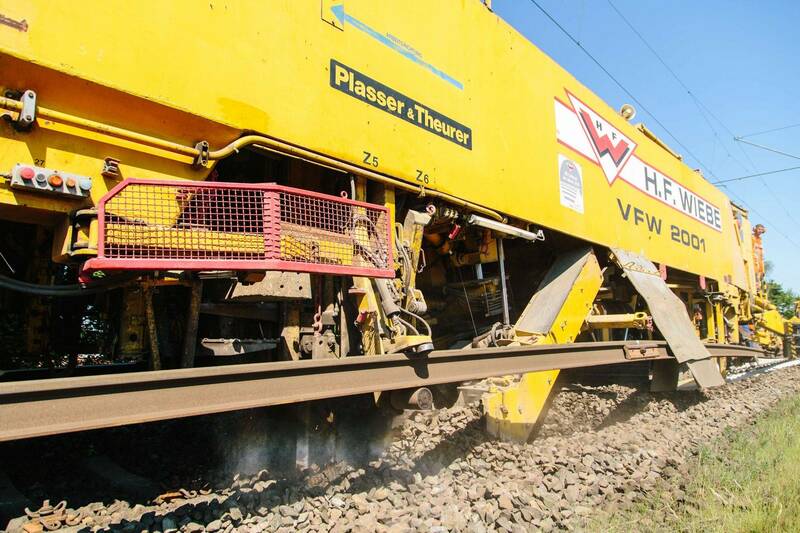 Various machines were used to ensure optimum use of the track possession time: Both the construction train VFW 2001 and also a tamping machine and two ballast ploughs ensured fast and thorough work including the installation of ballast, tamping and welding with tension equalisation. A lot can be accomplished in ‘just’ four days – especially if you have no other option but to complete the project in such a short period. 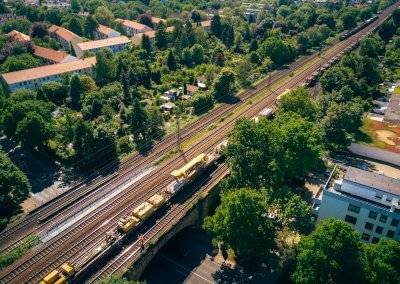 This was the case at the track junction in Bremen. 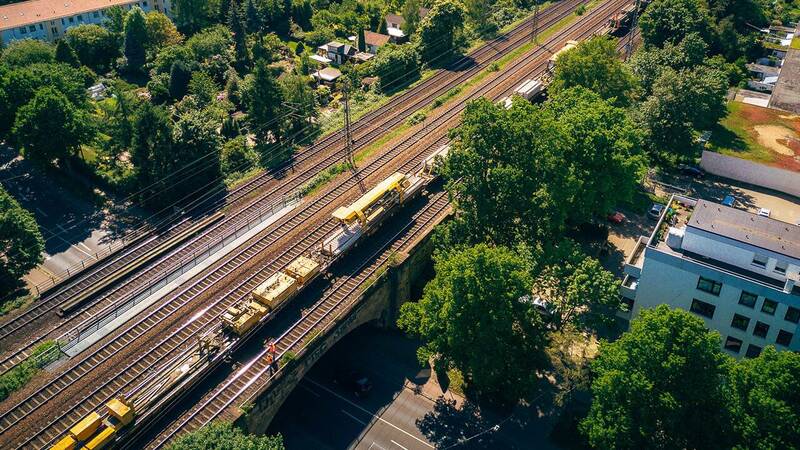 But we are not complaining, we aim to make optimum use of track possessions and to guarantee that rail operations can be resumed as quickly as possible. This means full concentration and non-stop working to ensure that the switches are modernised and the track is constructed true to specifications and to a high quality.